In April of this year, Ontario’s Auditor General, Bonnie Lysyk, released her report on the Ontario Lottery and Gaming Corporation’s Modernization Plan. The report was prepared and made public in response to motions passed by the legislature’s Standing Committee on Public Accounts. The report is a sobering read for OLG, for the government, and for anyone interested in gaming in Ontario. The report suggests that OLG’s decision-making and plans were unrealistic, short-sighted, and subject to unstable leadership and oversight. The key question coming out of it isn’t, however, what went wrong. 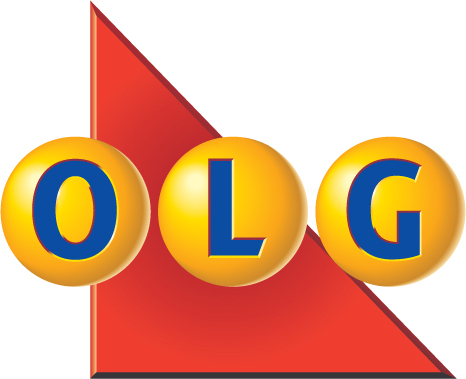 It’s where does OLG go from here? In 2012, in partial response to a mandate to increase revenues to the province, OLG released its Modernization Plan. Modernization projected an additional cumulative C$4.6B in net profit to the province over the next 6 years; C$3B in new private-sector capital investment in Ontario; and an additional 2,300 new gaming-industry jobs and 4,000 new jobs in the hospitality, entertainment, and retail sectors. This would be accomplished by, among other things: moving casinos already in Ontario and opening new ones; expanding private sector delivery of lotteries and gaming; closing the Slots at Racetrack Program; expanding lottery ticket sales; and, introducing OLG’s own internet gaming initiative to the province. Modernization was predicated on Ontario’s municipalities welcoming new gaming sites. In fact, several municipalities have rejected them. The online gaming initiative has been repeatedly delayed and is still unavailable. OLG is now trying to integrate horse racing into the Modernization Plan. The entire board of directors of OLG—including its chairman—and its CEO have left in the past year. As of March 2014, OLG has revised its projection of new net profit to Ontario from C$4.6B down to C$2.4B. The Auditor General still thinks this number too high and that C$1.8B is more realistic—40% of the original estimate two years ago. A number of problems arose to impair Modernization, some of which are of the OLG’s own making. First, the government and OLG did not adequately prepare and plan before launching what Lysyk calls “an ambitious, ‘best-case scenario’ Modernization Plan.” This was part of an “overly ambitious timeline,” delays to which “have caused significant uncertainty about the likelihood of achieving the revenues projected” by Modernization. Second, Modernization depended on municipal buy-in to new and relocated casinos in Ontario, particularly in Toronto. The Auditor General notes that “most large host municipalities for these potential new gaming facilities (Greater Toronto Area municipalities, Hamilton, Ottawa, Kitchener and Waterloo) either have not accepted or have significantly changed OLG’s proposals.” As anyone who has advised participants in OLG’s land-based expansion program knows, it has been beset by delays, although Lysyk notes that procurement has been fair, open, and transparent. Next, both financial and private-sector capital investment projections were overstated. The report argues that it’s more likely that there will be a net loss of provincial gaming jobs, not a net gain. Finally, the cancellation of the Slots at Racetracks Program was outlined in Modernization but came as a surprise to the horse-racing industry, suggesting inadequate consultation. OLG is belatedly trying to integrate horse-racing into Modernization, but the savings from cancellation are now estimated to be C$326M over the next 4 years which, the AG notes, is over 70% less than originally projected. The government and opposition parties at Queen’s Park are predictably wrangling over the fallout from the Auditor General’s report. The current government is trying to pass off the damage to Dalton McGuinty, premier until early last year, and insists it is on track to balance the provincial budget by 2018 (which was one of the drivers of Modernization in the first place). The opposition describes Modernization as reckless and the government’s accounting as “full of holes.” It remains to be seen how much of a part the report will play in the provincial election that’s currently underway. If it’s possible to set politics aside from gaming in Ontario, what happens to Modernization now? There are few clear answers. The plan continues, but it’s replete with delays and—even now, according to the AG—overly optimistic promises. It’s unclear whether most or all of the Modernization Plan has lost the confidence of stakeholders, of politicians, of the general public, and even of the OLG itself. Whether the government changes this year or not, there could be big changes at OLG, either in response to Lysyk’s report or simply to take provincial gaming into a new strategic direction. Not all of OLG’s wounds were self-inflicted. The Auditor General points out that since 2005, OLG has gone through 5 board chairs and 7 CEOs and reported to 5 different government ministers. She wonders “if stable leadership and governance could have benefitted OLG and the gaming industry in Ontario.” The current Modernization problems may have happened anyway, but it must be hoped that the government and OLG have learned something from this report about how to better conduct and manage gaming in the province.